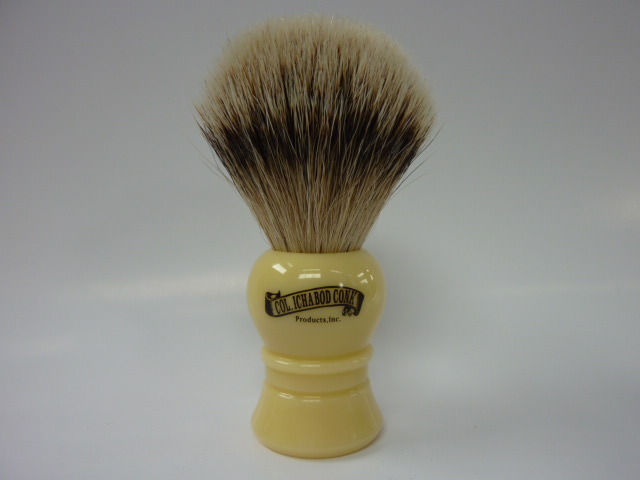 Col. Conk Silver Tip Badger Faux Ivory Brush. Handmade in England. Off-White Handle. Excellent for close, superior shave. When partnered with a high quality shaving cream, this brush can produce an incomparable shaving experience.